The 'Xander Milano' range directly takes inspiration from the world of women's luggage. 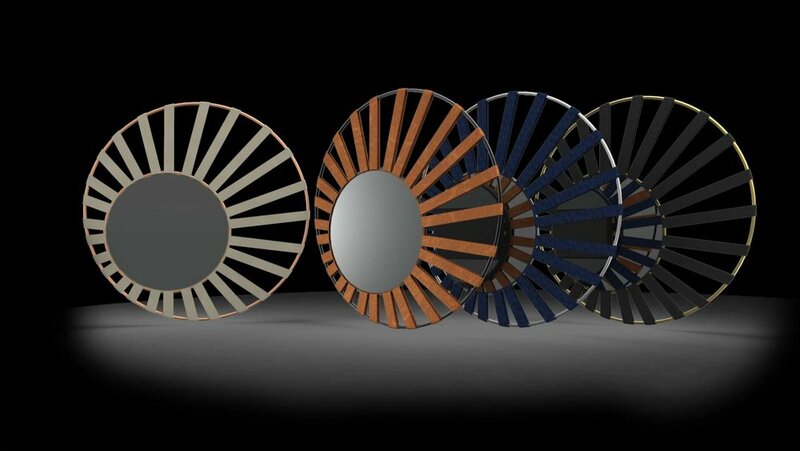 Each Xander Milano mirror screen represents the balance and the association between industry and crafts. The combination offers modernity and elegance and combines the softness of form and matter. The Milano is available in two sizes: the 22" Piccolo and the 40" to 48" Grande. The architecture of both pieces are identical, a Silver Black mirror inserted into two tinted aluminium rings turned on by leather straps. This design offers a possibility of total personalisation between aluminium and leather.